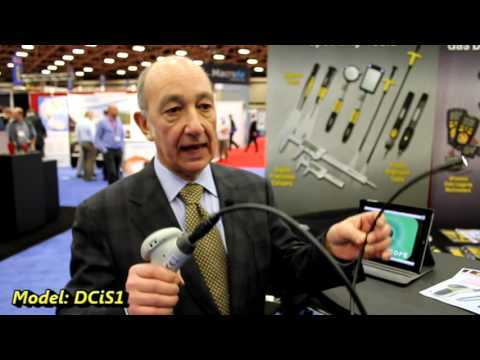 The new iBorescope (DCiS1) from General Tools & Instruments (General®) is the first and only video inspection wireless camera system of its kind available in North America. Using the instrument’s Wi-Fi hotspot capability and a free iBorescope App, you can wirelessly view, capture and save high-definition inspection images and video on any iPad® or iPhone®, eliminating the need for an attached monitor and revolutionizing the video inspection marketplace. With a retail price of $299, it offers an affordable way to visually inspect inaccessible or hazardous areas—behind walls; inside drains, pipes, ducts, appliances and machinery; under the hood and much more—and diagnose problems without the need for disassembly or teardown. The iBorescope generates an ad hoc (i.e., without Internet access) Wi-Fi hotspot, which allows the instrument to communicate wirelessly with your Apple® device. Its standard 9.8mm (0.39 in.) diameter, 0.9m (35 in.) long flexible-obedient camera-tipped probe produces high-definition VGA resolution (640 x 480 pixel) real-time video and still images. The camera has an outstanding depth of field of 1/2 in. to 12 in. (12.7mm to 305mm) and a 54-degree field of view. A thumbwheel on the pistol grip makes it easy to adjust the brightness of the two white LEDs at the probe tip. Included are three handy probe tip accessories (a pickup hook, a 45-degree mirror, and a magnetic pickup). Two longer probes are available as separate options at lengths of 1.8m (70 in.) and 2.7m (105 in.). The iBorescope’s Li-ion battery is rechargeable by an included AC adapter. The unit and its accessories are packaged in a custom molded hard plastic case.